SIX TITLES I WOULD LIKE TO READ BUT CANNOT FIT INTO MY SCHEDULE. BUGGER !! I bought this on the recommendation of a bookseller friend so I hope she doesn’t read this particular blog! Because of the subject matter I am going make it in the first book in my “to be read over the Christmas holidays” pile! At eighteen, Rosemary arrives in New York from Tasmania with little more than her love of books and an eagerness to explore the city she's read so much about. The moment she steps into the Arcade bookstore, she knows she has found a home. The gruff owner, Mr. Pike, gives her a job sorting through huge piles of books and helping the rest of the staff – a group as odd and idiosyncratic as the characters in a Dickens novel. Based on actual documents the author found while doing research on Melville, 'The Secret of Lost Things' is at once a literary adventure that captures the excitement of discovering a long–lost manuscript, and an evocative portrait of life in a bookshop. Another Australian author new to me although I see this is her second novel her first, Falling Woman, having been published in 2000. 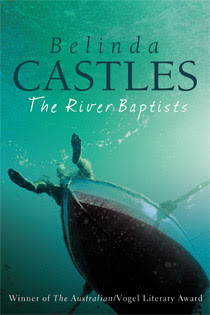 The author lived for a time on an island in the Hawkesbury River in New South Wales and has used this area as the basis for the fictional setting of the novel. Here is what the publishers have to say about it, you will understand why I should read it! They met in 1990 during the first Palestinian uprising—one was an American Jew who served as a prison guard in the largest prison in Israel, the other, his prisoner, Rafiq, a rising leader in the PLO. Despite their fears and prejudices, they began a dialogue there that grew into a remarkable friendship—and now a remarkable book. It is a book that confronts head-on the issues dividing the Middle East, but one that also shines a ray of hope on that dark, embattled region.Jeffrey Goldberg, now an award-winning correspondent for The New Yorker, moved to Israel while still a college student. When he arrived, there was already a war in his heart—a war between the magnetic pull of tribe and the equally determined pull of the universalist ideal. He saw the conflict between the Jews and Arabs as the essence of tragedy, because tragedy is born not in the collision of right and wrong, but of right and right.Soon, as a military policeman in the Israeli army, he was sent to the Ketziot military prison camp, a barbed-wire city of tents and machine gun towers buried deep in the Negev Desert. Ketziot held six thousand Arabs, the flower of the Intifada: its rock-throwers, knifemen, bomb-makers, and propagandists. He realized that this was an extraordinary opportunity to learn from them about themselves, especially because among the prisoners may have been the future leaders of Palestine. Prisoners is an account of life in that harsh desert prison—mean, overcrowded, and violent — and of Goldberg's extraordinary dialogue with Rafiq, which continues to this day. See what I mean? Everybody should read it! IN February 2003 a young Japanese student was murdered by his colleagues at an unregistered Auckland academy for overseas students.Thirteen men were accused of murder and granted bail. Most of the witnesses left the country, including students, staff and the murdered student’s parents.They refused to give evidence so murder charges were replaced by manslaughter.The four who were finally sentenced took responsibility for all of the 13 involved, all of whom had blood on their clothes.The Columbus Academy was closed down three months after the killing.Apparently schools like this exist all over the world and are used as dumping grounds for kids who do not fit into Japan’s and similar countries very conformist societies.The young man who was killed was a pain to his fellow students. He groped girls, stole underwear and money and started fires. 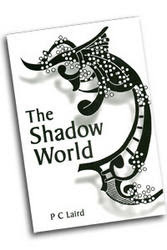 It was suggested at the time that he suffered from Asperger’s Syndrome, a mild form of autism.The Shadow World is a fictionalised account of this event. The killing is still fresh in many minds and the story largely remains true to the facts. I remember clearly the event on which the book was based and have always intended to read the novel, a handsome piece of publishing by the way, but……………. My daughter read this when we were on holiday earlier in the year and suggested that although it was a light read, because of the subject matter and the connection to Jane Austen’s Pride & Prejudice then I should perhaps have a read. I dutifully carried it back to New Zealand in my bulging over-weight suitcase but have finally decided there isn’t time……..If my daughter should read this, sorry darling! The authors of this book ,published this week, are Paul Callaghan and Kim Hill and it grew out of their series of 10-15 minute discussions each month on Radio New Zealand National from 2004 to 2007 in a slot intended for a non-specialist, but intelligent, audience. Hill is, of course a wonderful broadcast journalist, while Callaghan is physicist and Professor of Physical Science at Victoria University . The book covers momentous matters like radiation, climate change, quantum mechanics, what colour is and how it gets transmitted on TV, nanotechnology and a whole lot more. I am sure it would prove most interesting but I’m going to give it to my brother-in-law Steve to read as he is fascinated by this sort of stuff. In the NZ Listener August 25-31 there is a four page essay by Joanne Black with photos by Jane Ussher about this book and the authors. (There are also seven other pages of book reviews and plenty else too for booklovers).